Comment Aikido - Software Factory, Inc. The comment area is probably the most overlooked section among bloggers. Comments are the other side of the blogging coin. Comments are an important part of blogging, but nobody knows how to really make the most of it. And most of the time, bloggers simply disable this feature or make it really difficult for readers to post any comments (requiring registration, confirmation of the registration, comments are then held for moderation while the admin never bothers checking the comment to approve it…). That said, commenting is at the heart of blogging. You’re blogging to publish content and to allow your visitors and readers to interact with you and your content through Commenting. If you miss that part, you’re basically missing the whole concept of blogging and web 2.0 which is about creating an interactive website. Then, if you miss the concept of blogging by simply displaying your content hoping no one will read and comment, you’re also Â missing the way search engines work and rank content. Google and search engines love WordPress. It’s a fact. But how do you stand out from the crowd? What would make your blog rank higher in search engines than a similar blog? The answer is simple but scary for most bloggers. Simple, because it’s just common sense. Scary, because when you realize what it takes to feed search engines, you’ll understand how much traffic and money you’ve left on the table for so long by doing it the wrong way. Say, you publish an article and it does not get updated for a month or two. At first you congratulate yourself for getting your article ranked on page 1 of Google and even in the top 3 spot for a given keyword. After a week, you can’t find your post on page 1 of Google. After 3 weeks, it’s not in the first 5 pages anymore. And after a month or so, it just gets out of their index. At the same time, you are researching similar topics for your next blog post and you see that some of your sources are ranked at the top of search engines for weeks and months! How come they manage to do it and you can’t!? You notice their main article has not been updated. Truth is somewhere else. And you finally come to the conclusion that those little pieces of content, the comments you read below the article, are what make this post stand out of the crowd giving search engine all the foot activity they’re looking for to satisfy their Panda, Penguin and whatever algorithm they crank out to improve their users’ experience. Yes, it’s that simple and yes it’s scary for 99% of bloggers who overlooked this for so long. Comments on your blog are as import if not more than your blog posts. Period. Knowing that is already of great help. At least if you somehow take action. So the next step is knowing how to take action. If you simply allow anyone to comment on your blog, you will end up with 545 bots filling your blogs with spam in just a few hours. Guaranteed. The key is to control your comments. But at the same time, you don’t want to control them 8 hours a day. So you need automation. And the success comes from blending comment control and automation. You basically want to give search engines the content and the activity they’re looking for to rank your blog at the top! 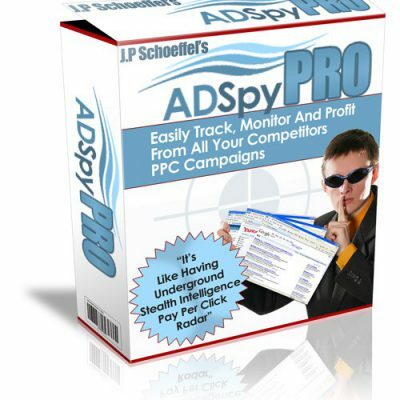 And you want to do so using automated system to truly turn your blogs into traffic and profit magnets. This Is Exactly What Comment Aikido Can Do For You On Complete Auto-Pilot! 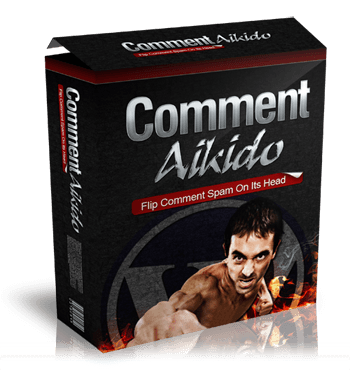 Comment Aikido, the first ever plugin whichÂ makes commenting fun and profitable again. AikidoÂ (åˆæ°—é“Â AikidÅ) is a Japanese martial art developed by Morihei Ueshiba as a synthesis of his martial studies, philosophy, and religious beliefs. Aikido is often translated as “the Way of unifying (with) life energy” or as “the Way of harmonious spirit.” Ueshiba’s goal was to create an art that practitioners could use to defend themselves while also protecting their attacker from injury. Aikido is performed by blending with the motion of the attacker and redirecting the force of the attack rather than opposing it head-on. This requires very little physical strength, as theÂ aikidÅkaÂ (aikido practitioner) “leads” the attacker’s momentum using entering and turning movements. The techniques are completed with various throws or joint locks. (SourceÂ WikiPedia). And this is what Comment Aikido is about: flipping comment spam on its head and using search engine desperate moves for content and activity to give them exactly what they’re looking for without lifting a finger! Pre-loaded with up to 90’000 comments which can be automatically customized based on your keywords or categories! You might wonder how such a powerful engine works and that it requires a lot of tweaks to your WordPress blog? Comment Aikido was built usingÂ WordPressÂ standards and code – which means it shouldn’t break when there’s a WordPress update because it doesn’t try to manipulate the wordpress database directly.Â Instead, it uses WordPress’ own methods to modify and add comments to every page or post. Since it’s built on WordPress standards and not encrypted, Comment Aikido can be installed just like any other plug-in – either through FTP or using WordPress’ built in plug-in management system.Â In addition, it has support for WordPress’ built-in plug-in update system so if there’s an update, you’re notified and simply have to click one button to upgrade the plug-in. Integrated into the comments area – hyperlinks are added into the comments area allowing you to flip a comment, name, or url. Comes with two lists of up to 300 comments each which can be combined by the system for a total of 90,000 unique comments.Â Add more if you like. Automatically customize these pre-loaded comments based on your tags, keywords or categories without lifting a finger! You have 30 days to try it to see if you like it.Â No hassle, money-back guarantee if you’re not completely satisfied the plug-in does what we say it does. Â This Amazing Plugin Is Normally Sold For $197! But Today, You Can Grab It For As Low As… $7.00! 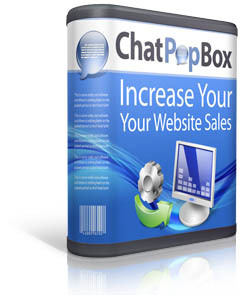 You can install the plug-in on all your websites with the Pro license.Â If you sell your sites or work for clients, you should get a Enterprise license which allows the plug-in to stay with the site when you sell it provided you give the buyer a copy of the single-site license (other restrictions apply as well).Â Unlike the unlimited license, the developer license also doesn’t show advertisements in the settings area for our other products. The PRO license comes pre-loaded with 200×200 comments (40’000 seed comments) when the Enterprise license comes pre-loaded with 90’000 seed comments! Copyright 2012 Andrew Traub, All Rights Reserved. Andrew Traub and IMS Marketing Solutions SARL are NOT responsible for rankings, loss of profits, success or failure of any kind. We will not be responsible or liable for any damages whatsoever, including without limitation, damages for loss of business profits, business interuption, loss of information, or loss of any kind. Always backup your database before making bulk changes. Use the techniques here at your own risk.